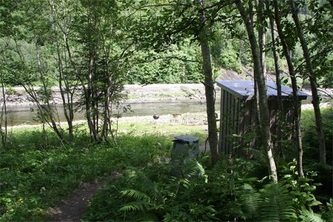 A historical pool, best on high water. Often holds big salmon. One of the better pools on the rotation, Sæter is a long, even paced glide in stunning surroundings. 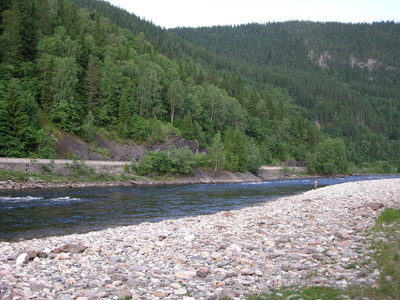 It has a fast head with broken water that runs alongside some rock faces before emptying into a deep sluggish pool. 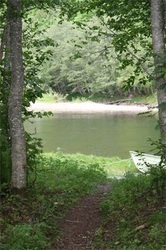 This is a great holding area. 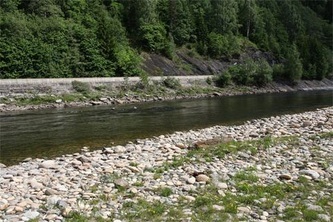 Lower down, in the middle area of the pool, some large rocks are found in mid-river and these too always hold fish. 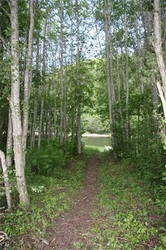 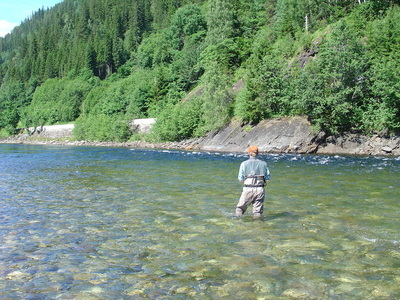 The lower part of the pool is another good place, comprising a shallowing even paced glide. 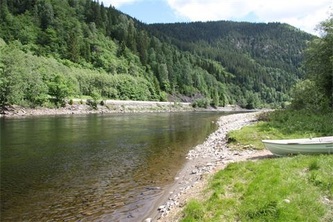 Fishing in Sæther you can feel the historical breeze. 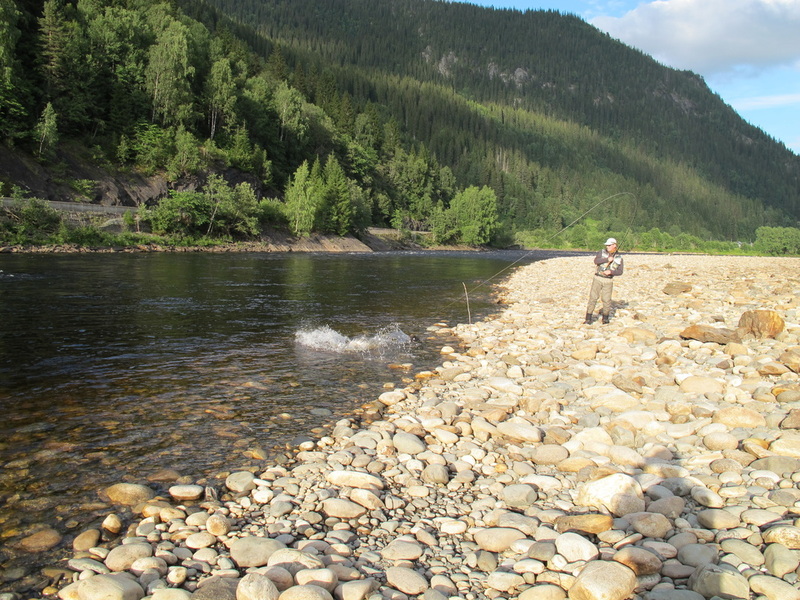 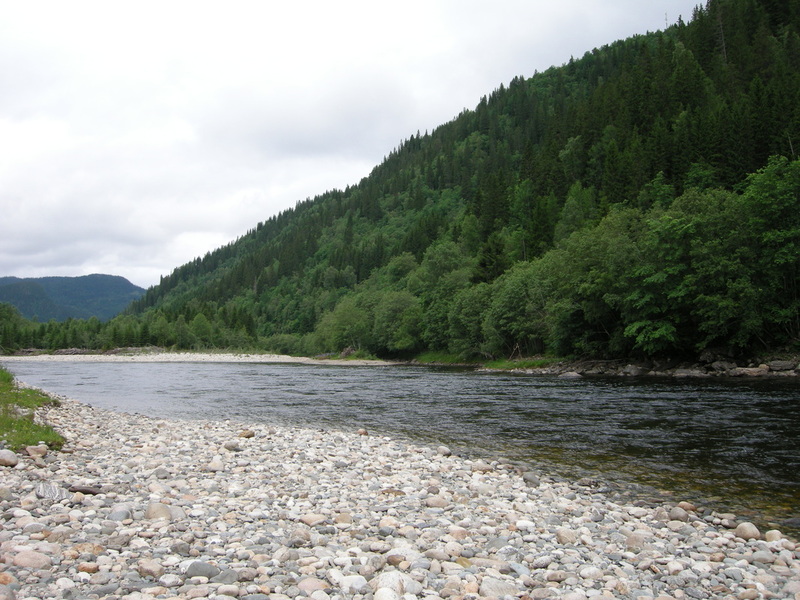 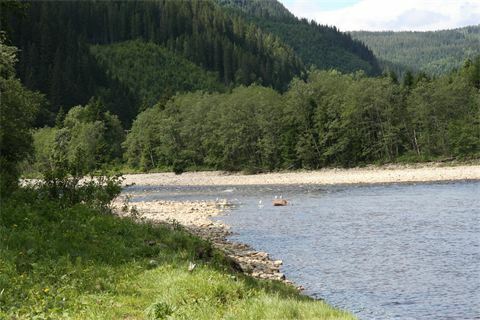 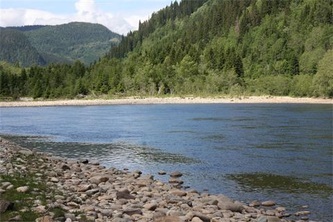 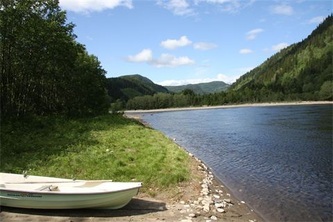 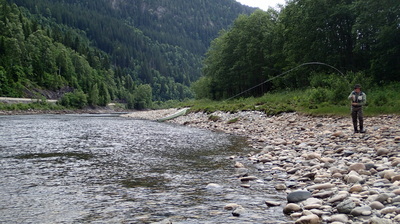 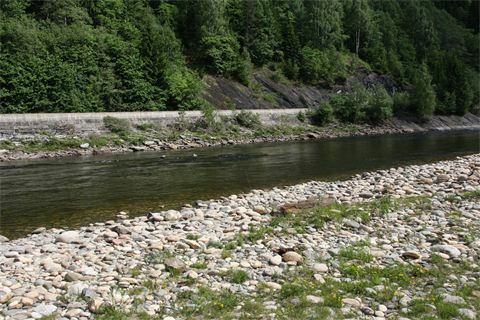 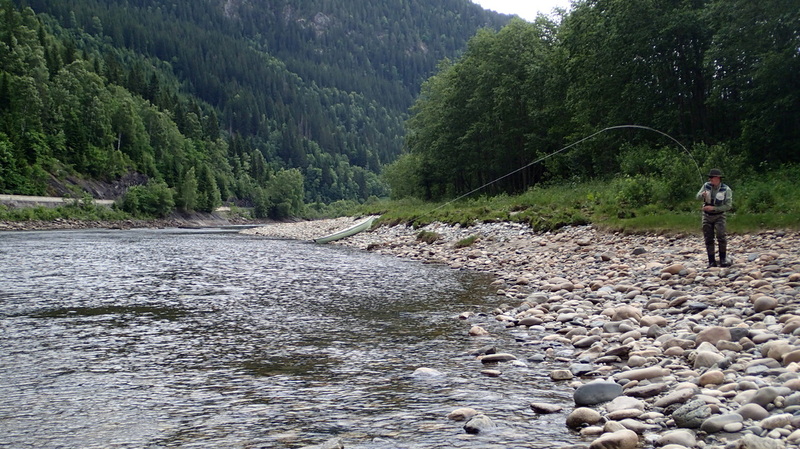 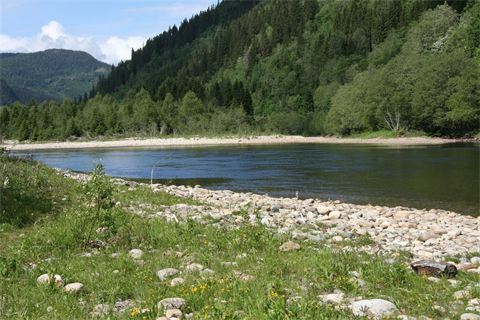 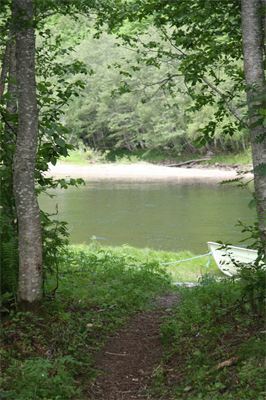 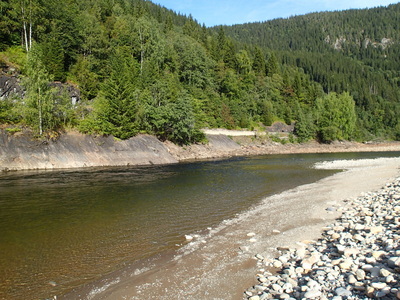 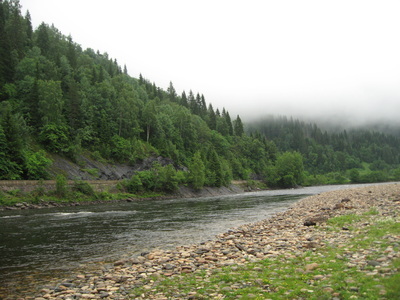 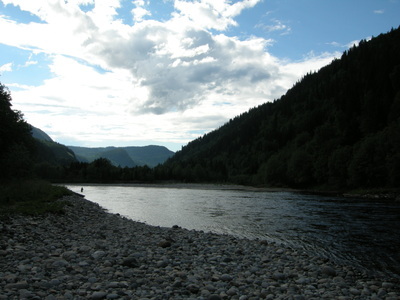 Toghether with very few pools in Gaula Sæther has been a bigsalmon pool for over 150 years. 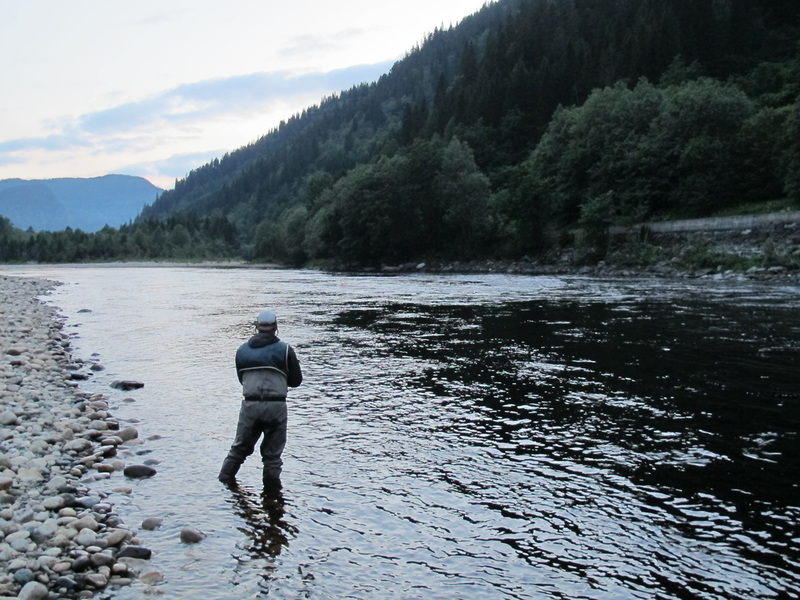 Even though you can catch salmon in all sizes here it seems like the bigger salmons have a special love for Sæter.